Over the last few years, I’ve taken part in the Remembrance Day service in Owen Sound on behalf of Beth Ezekiel Synagogue. Unfortunately, I’m unable to participate this year, though I know the job will be more than capably handled in my absence. 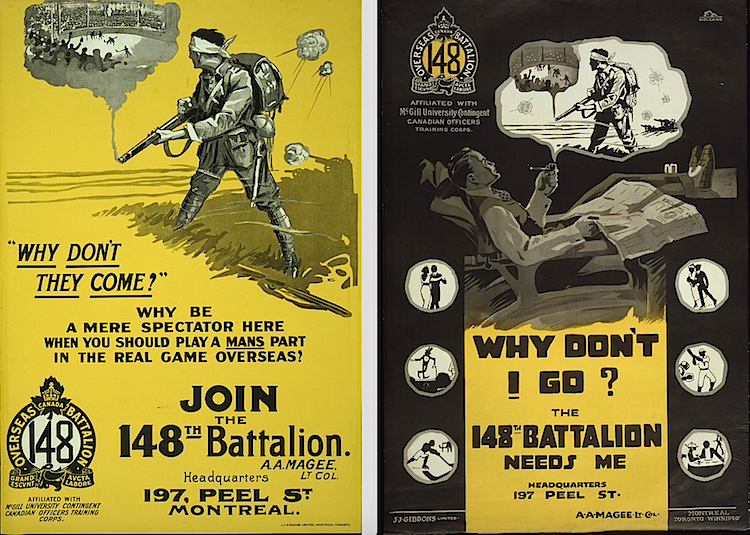 Anyone who knows me can attest that I’m hardly the soldiering type, but I’ve often wondered over the years if I would have felt compelled to enlist during World War I or World War II. While I can’t see myself rushing off to join the army the moment war was declared, would I have succumbed to the pressure as the years went by? I can remember my father telling me once that when was a boy, he wished that the Second World War would last long enough for him to get in it. Those were different times, and he was very young. (He was still only about seven when World War II ended.) He had an uncle serving overseas, who was badly wounded in the fighting. When he finally returned home, my father would pester him to tell him his war stories. He never did. He could only convey that you wouldn’t want to be there. Had we been of age 100 years ago, would my friends and I have been able to resist the call? Especially if it meant the chance as Jews to prove ourselves as Canadians? 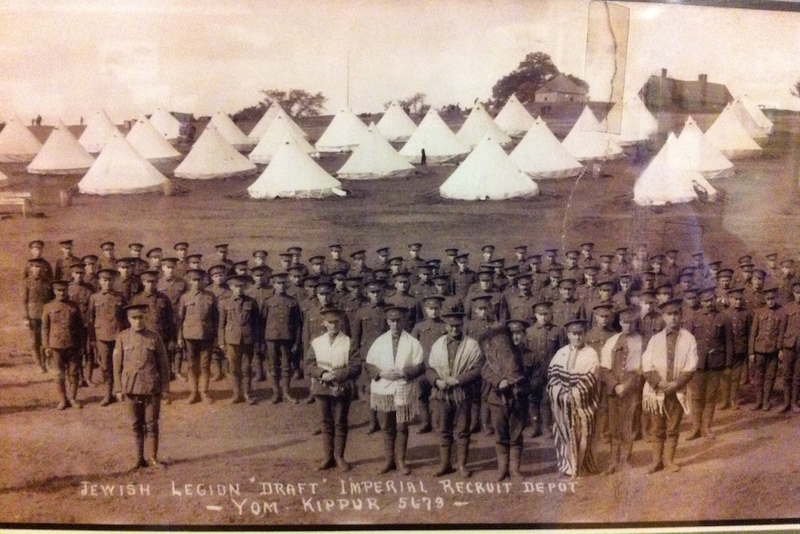 I found a story online in which Eric Levine, secretary-treasurer of Toronto’s Jewish Canadian Military Museum (which, until this writing, I did not know existed!) says that during the First World War, 38 percent of all Jewish males older than 21 in Canada served in the Canadian Expeditionary Force. I can’t recall where, but I know that I’ve read that in both World War I and World War II, Jewish participation was in greater numbers than their percentage of the population would have indicated. And, on a lighter note, this was recently brought to my attention: “At the stroke of 1 pm on October 12, the end of World War I will be closer in time to the [Toronto Maple Leafs’] last Stanley Cup win than that 1967 win is to today.” I haven’t actually done the math myself, but even if it’s off, it’s awfully close! I think I’ve told you before Eric — my father took me to exactly one hockey game that I can remember, and it was game 6 of the ’67 final. So I keep asking people if they want to kiss my ring for having actually seen the Leafs win a cup! I’m really not thinking it will happen in my lifetime again, Babcock notwithstanding!! This was an interesting item. Very poignant, respectful and insightful…AND brought back memories and struck close to home. I was born in ’46 and was conceived just about bang-on when my dad was demobilized from the RCAF. I felt ‘cheated’ out of ‘missing’ being in ‘The War’ for twenty years! As a kid, adolescent, teen and even into my early twenties I read everything I could get my hands on about WWII and I became something of an expert. My dad was a radioman on a bomber based in Trenton and the week before he and his crew were to be deployed to England to take part in the bombing of Germany he suffered a ruptured appendix from which he almost died from blood poisoning and complications that kept him in hospital for four months. Once released from hospital and back on duty but before his ‘new’ deployment orders came through the war in Europe ended. Soon after he received new deployment orders to fly to the Pacific Theatre and three weeks before that date the war in the Pacific ended. Both my grandfathers saw action in WWI with my paternal grandfather fighting in Egypt and my maternal grandfather in the front trenches in France where he was blown up and the lone survivor of his platoon during a shelling. Subsequently he was captured (luckily) by the ‘Krauts’ in their ensuing advance and his life was saved and he was nursed back to health in a German hospital after which he was transferred to a prisoner-of-war camp. I have a photo on our coffee table of him and his squad of fellow prisoners and a few of their guards but it looks more like a sports ‘team’ photo with ‘coaches’! Upon his retirement (He had lost his wife, my granny, to cancer years before) he moved in with us and was always my favourite and most esteemed and ‘best-bud’ relative growing up. I tried to ask him about his escapades in ‘The War’ but he only talked about a few good things, like the Christmas day when both sides in his sector somehow arranged a short truce and crossed into no-man’s-land and celebrated the holiday together. He exchanged his greatcoat for a pair of German jack-boots. He was a sniper and I once asked him how many Germans he had killed and all he said was “Not many, I hope!”. He had lost the sight in one eye and partial in another when he was blown up so when he was demobilized after the war he received a full, 100% pension. Within ten years his eyesight returned but he received his pension for the rest of his life. He died at age 82 and his room in our house became mine (I had always shared a bedroom with my kid brother) and I felt so wonderful and honored to have inherited it and I kept his ashes (he was cremated) with me in that room and it was always my sanctuary and I felt safe and comforted there. Last month I went home to Pointe Claire (West Island of Montreal) to visit my 94 year old mum who still resides in our ‘family home’ and I got to sleep in his/my old room one more time. It was wondrous! What a wonderful post….in a poignant sort of way. As well as I know, I do not think you would have wanted to go to War. But then who knows if you had been old enough anything is possible. I always watch Remembrance Day ceremonies on TV as standing in the cold is no longer an option for me & I silently thank all the soldiers & nurses who fought to free my Father & his 1 remaining nephew & all of the prisoners of war……If there were no Allies some of us would not be here so I am eternally grateful for the sacrifices made! !